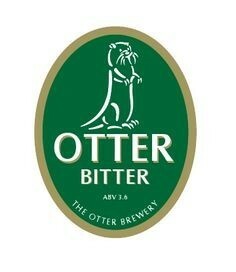 Otter Bitter is our ‘session’ beer. A beer designed to slip down easily and refresh all parts of the body that need refreshing. High in taste and low in gravity makes Otter Bitter a long term friend. Otter Bitter has great condition which adds to its flavour profile. Fruit notes and well balanced malty flavours are tinged with a hint of bitterness to make Otter Bitter a Devon beer of distinction.